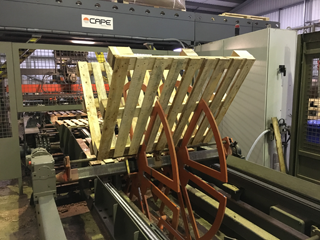 Pine Products Limited has over 30 years’ experience of manufacturing new wooden pallets, operating from our site in Leigh, Lancashire. 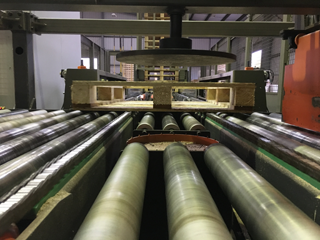 We have an excellent reputation for quality and supply and have worked with many of our existing customers for many years’. 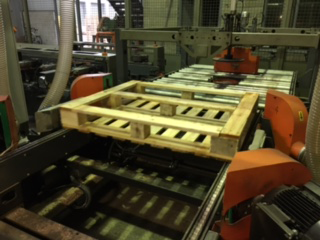 Manufacturing in excess of 35,000 new pallets per week to over 200 different specifications. 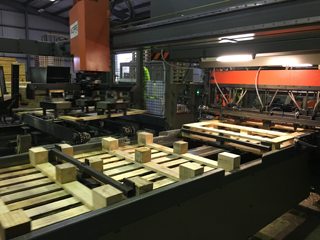 We are happy to supply to our customer’s own specification or we will work with you to design a pallet using the latest Pallet Design Software (PDS) ®. 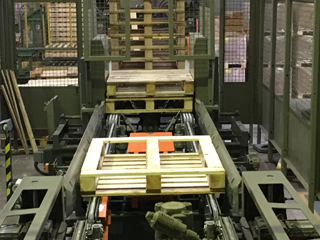 As an FSC ® accredited Company we ensure timber used in the manufacture of our new pallets is sourced responsibly from managed forests in UK and Ireland, alongside other European countries. 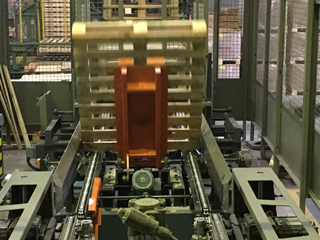 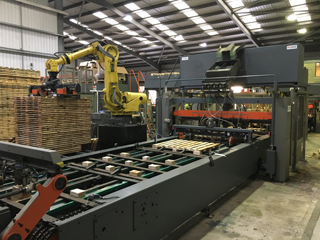 Our highly automated production lines ensure we are able to supply large volume requirement of quality and precision made pallets with an exceptionally fast turnaround. 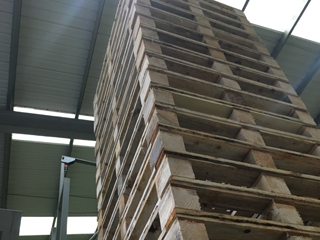 New pallets required for export can be treated on site in our purpose built facilities for the heat treatment of pallets to ISPM15 standard.